One Book, One Philadelphia is known for inspiring great conversations across the Philadelphia region. Last week, it also inspired some new stories altogether—as a panel of professional storytellers shared stories inspired by the setting and characters of One Book featured selection Cold Mountain. The storytelling tradition is deeply rooted in African American history and culture, stemming from the rich heritage of African oral tradition. On the surface, Cold Mountain—which focuses on a white Confederate soldier who deserts the Civil War to return to his white beloved back home—does not seem part of this same storytelling fabric. But Saundra Gilliard, the president elect of the National Association of Black Storytellers, shared that the book’s key themes—families broken up, self-reliance, love—are themes equally essential to African American culture. But their story is deeper, as well. Stories of the Civil War era are often of families broken apart, and we don’t often hear about the survival and strength of African American families. Yet, Gilliard shared, “most of our history in this country comes from that time period,” and “telling our story from that time period in our own words” is incredibly important. Black storytelling, then, is a way of empowering people to tell and use their own stories. 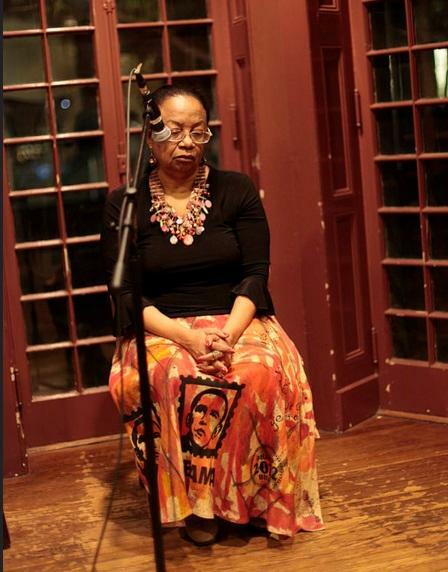 Master storyteller Charlotte Blake Alston performed her take on Paul Laurence Dunbar’s “An Ante-Bellum Sermon,” which celebrates the ingenuity of slaves who ‘sermonized’—itself a form of storytelling—as a means of quiet disobedience. Ministers and slave owners would often come to plantations and offer words from scripture that justified slavery. On Sundays, slaves were often permitted to hold their own service, away from their masters, and there used stories of Pharoah and the enslaved Hebrews to undermine their masters' message. Storytellers Dr. Caroliese Frink-Reed and Karen “Queen Nur” Abdul-Malik both saw the Cold Mountain character of Ruby—who in the book is suggested to be mixed race—as a gatekeeper of oral tradition who in many ways represents elements of key figures in black history: She knew the land and its herbs like Harriet Tubman, could knock a man down like Stage Coach Mary, and was fiercely independent. The character of Ruby inspired Queen Nur to perform a piece from "Voices of Courage" that demonstrated to confluence of the abolitionist and women’s rights movements. In all, this evening emphasized how the black storytelling movement seeks to perpetuate and preserve and folklife traditions as well as preserve community today—and use storytelling as a tool toward achieving social justice. The performers showed so powerfully how One Book can spawn many stories. Check out the episode on WXPN! 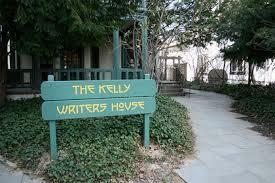 LIVE at the Writers House is a long-standing collaboration between the Kelly Writers House and WXPN (88.5 FM). The Writers House airs this one-hour broadcast of poetry, music, and other spoken-word art from its Arts Cafe onto the airwaves at WXPN. For a full list of One Book events, visit our online calendar or download our printed guidebook. 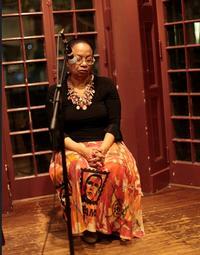 Dr. Caroliese Frink-Reed performed a piece from stories collected by the WPA. LIVE at the Writers House airs six times a year on WXPN.